Now, I’m NO professional. I repeat, SO not a professional. I’ve been practicing for a few years now, and collected a few tools to make the job easier. 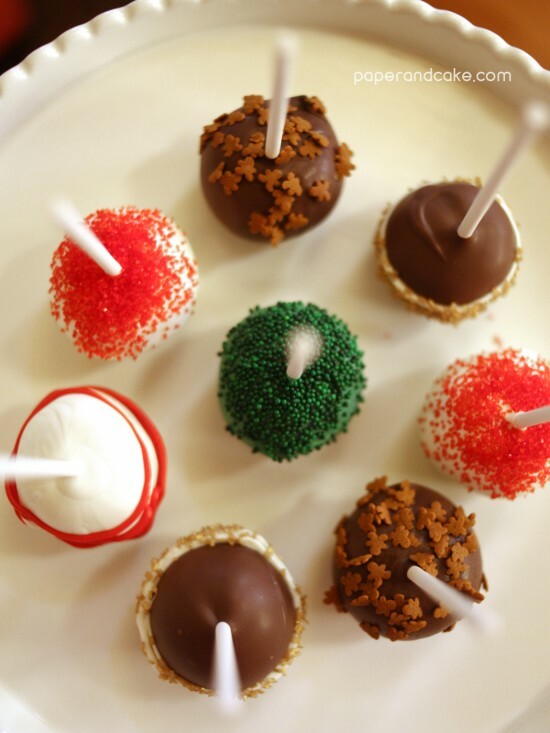 But most of all, I really enjoy making holiday cake pops. 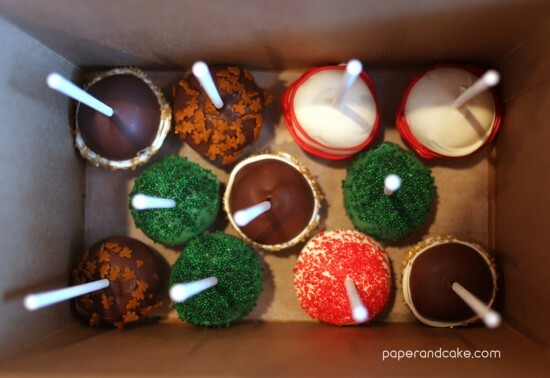 The first thing I suggest to everyone, is getting yourself a copy of the book, Cake Pops by Bakerella, it is so helpful! My copy is dog eared and just a big old hot mess. Make sure you read up, maybe watch a video tutorial (or two) get all your supplies together and just go for it! 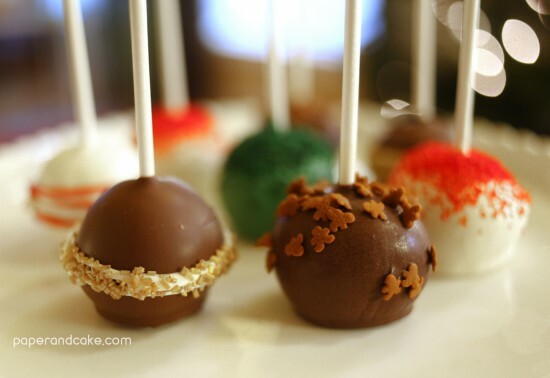 Now, before this batch, I had never really decorated my cake pops, but I decided to get a little fancy. I purchased a small set of themed sprinkles from Home Goods, and also used some nonpareils from my own pantry. I chose coordinating candy melts that would set off the sprinkles, and even used candy melts to drizzle around the centers for added dimension. Presentation can be almost as important as taste. I used these giant gable boxes, but any tall box will do. 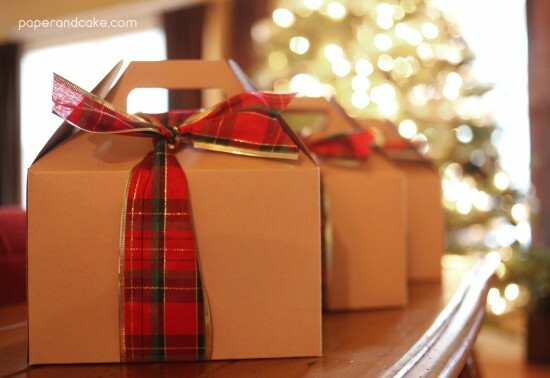 Just line the bottom of the box with a little parchment paper to prevent any mess. And of course, tie on some ribbon with a big beautiful bow! Need more gift packaging suggestions? More DIY labels, tags and wraps? 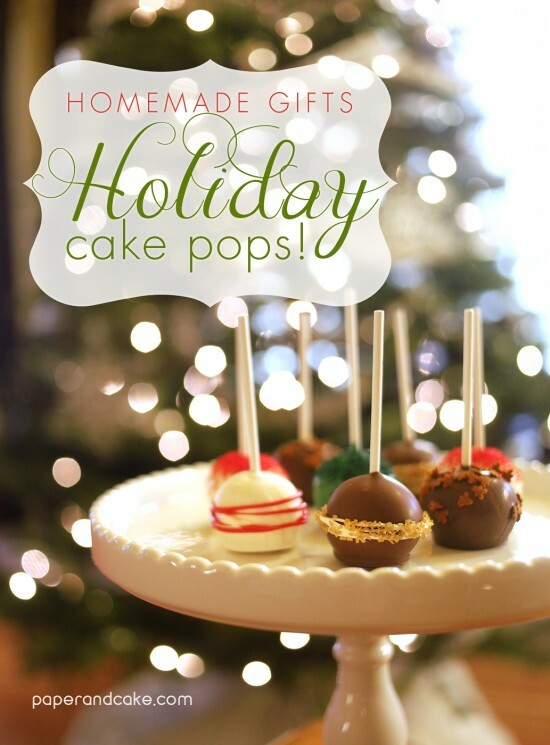 We do offer some super cute printable kits to help you with your holiday gift giving!